We carry these connectors in Black, Blue and Yellow, though we do not have all colors in stock at all times. If you have a color preference, please leave a note on the checkout page. XT60's have been around for some time now and have been launched in a variety of colors. 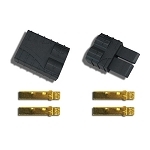 Made from the same high quality nylon as the original yellow XT60, these connectors can withstand up to 65A continuous without overheating, deforming or breaking apart. 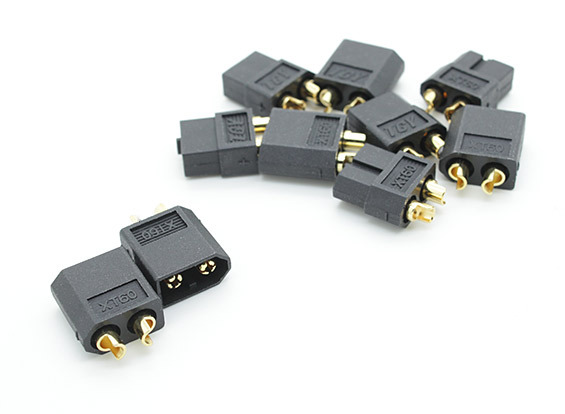 XT60 Connectors are manufactured from high-temperature nylon and are fitted with gold plated bullet connectors. The bullet connectors are fitted during the injection mold process to ensure a tight fit. XT60 connectors provide a solid high-amp connection, perfect for applications up to and beyond 65A constant current. We mostly carry Black XT60's, though color may vary. This item is a single connector. 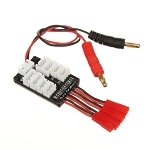 Increase the quantity to order more than one connector at a time.